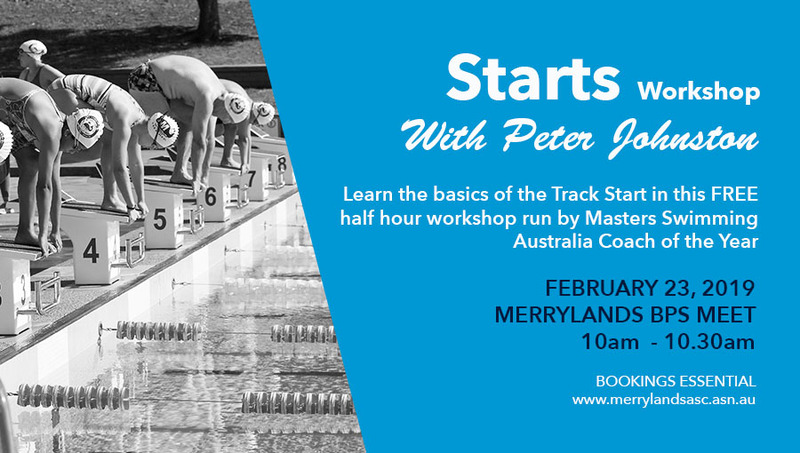 Merrylands ASC will be conducting a FREE Starts Workshop before this years Merrylands Masters Meet. The workshop is open to competitors who enter the meet. Just sign up using the button below. The workshop will focus on setting up for a track start – kicker position, leg/foot position and hand grip, and will give swimmers the opportunity to experiment and find the best position for them on the Swiss Timing OSB14 starting block. Who: Competitors entered in the 2019 Merrylands Masters Meet that want to learn the basics of a Track Start. Workshop Registrations Close 5pm on Friday, 22nd February, 2019, or when workshop limit is reached. The Swiss Timing OSB14 Starting Block is a part of the new generation of swimming starting blocks. The block features the same top as the starting blocks installed at Sydney Olympic Park Aquatic Centre and other major aquatic centres around the world.